I first met my best friend Sarah on Tumblr in 2012. I followed and admired her from afar until one day I worked up the courage to send her a message and almost deleted my entire online presence because I was so nervous. To my astonishment, Sarah didn’t respond “ew you creep,” but started a conversation with me and we talked through Tumblr messages for a few months before adding each other on Facebook. Since we live on opposite sides of the continent, we communicated solely through Facebook messages for about a year (except for one Skype encounter in which we discovered both of us are way too awkward and probably shouldn’t be verbally communicating with anyone in the world ever. Kidding. Sorta) until realizing we could iMessage each other through wifi (man’s greatest creation) and literally text each other on a constant basis now. Our friendship has grown so strong that most of Sarah’s friends and my own mother thinks that we met each other In Real Life. Sarah and I have gone from Internet Friends to Snapchat-each-other-body-parts-and-ask-if-it-looks-normal Bona Fide BFFs. Sarah has gotten me through every bad situation I’ve had in the last year and a half, from bad PMS to a major falling out with my “IRL” best friend. I can text Sarah in the dead middle of the night (mostly because it’s 3-6 hours behind my timezone wherever she is) to tell her about an exciting Twitter interaction or complain about a mishap with an American Apparel birthday coupon code and she will go out and buy me the exact dress as a birthday/Christmas gift. What makes Sarah so great is that I can count on having her support in literally any venture and equally support her no matter what. She’s my other half, my soulmate, my sister. 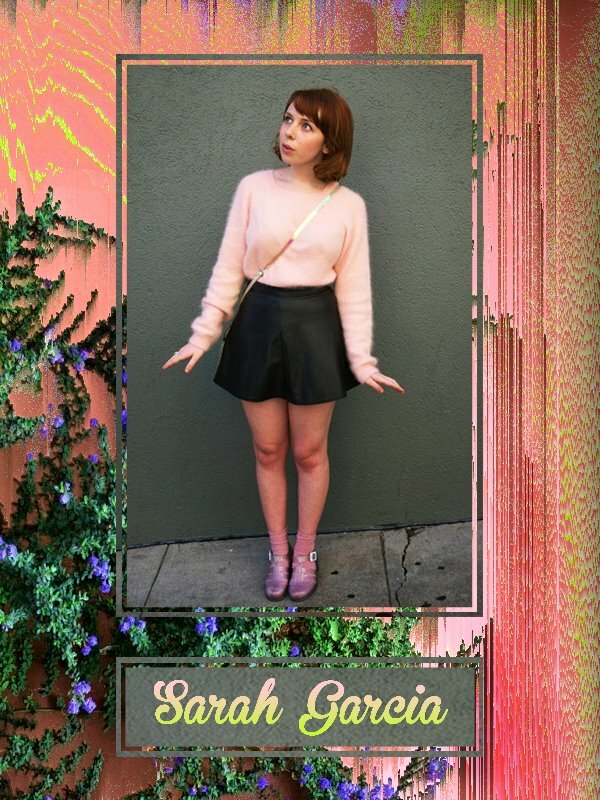 On top of being Literally the Best Friend Ever, Sarah is an amazing blogger and budding actress. One of my first forays into real blogging was as a contributor on her old fashion blog, Love and Velvet, and, as I previously mentioned, her Tumblr is amazing. Her newest internet adventure is The Petite Pixie, which you can check out on Blogspot and follow the Facebook page for updates. Sarah has the best style in the history of any human being, on top of being absolutely gorgeous, and of course a completely genuine and amazing person. You can also find her on YouTube to see her being adorable all the time. Sarah’s internet presence is what I was originally drawn to, and I could never have imagined that we would have become true best friends. Sarah deserves the Life Gold Medal for being an all-around amazing human and for telling me that I can be her personal assistant when she becomes famous. Something I wrote for Pop Culture Puke about my best friend ever on earth.